Sekiro Shadows Die Twice was revealed at E3 Expo 2018 and is being developed by From Software (Dark Souls) and published by Activision for an early 2019 release on the PlayStation 4, Xbox One and PC. Sekiro takes place in the late 1500s in Japan during the warring states period of history. Sekiro allows you to play as a Samurai type character who has swords, an axe and a mechanical arm at his disposal. The story of Sekiro is vague thus far but we were told that you are charged with protecting a ‘Young Lord’ who acts as the character’s master. 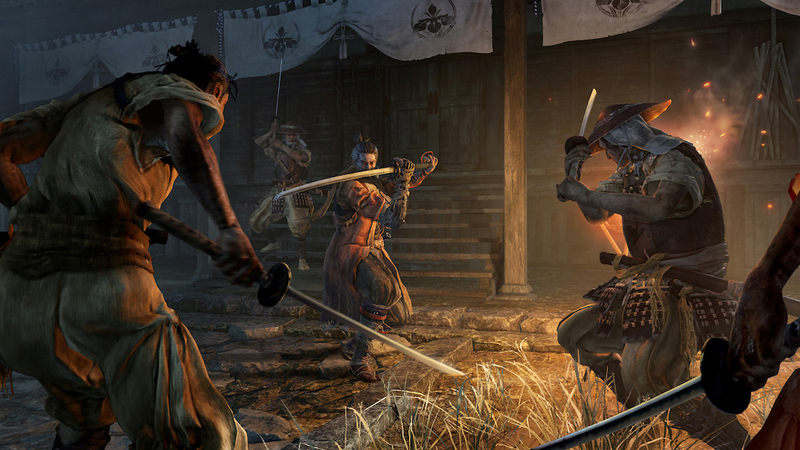 At a glance – the visual style of Sekiro Shadows Die Twice reminds us of the Lone Wolf and Cub manga and movies. We took part in a private media demo with the development team who were hesitant to refer to lead character as a Samurai and sometimes called him a Shinobi – guess we’ll find out more in the future on how to classify the hero of the game. Sekiro is an action game that reminds us most of From Software’s last venture Bloodborne but now our hero can jump and use his grappling hook hand to latch onto buildings and spring towards enemies. 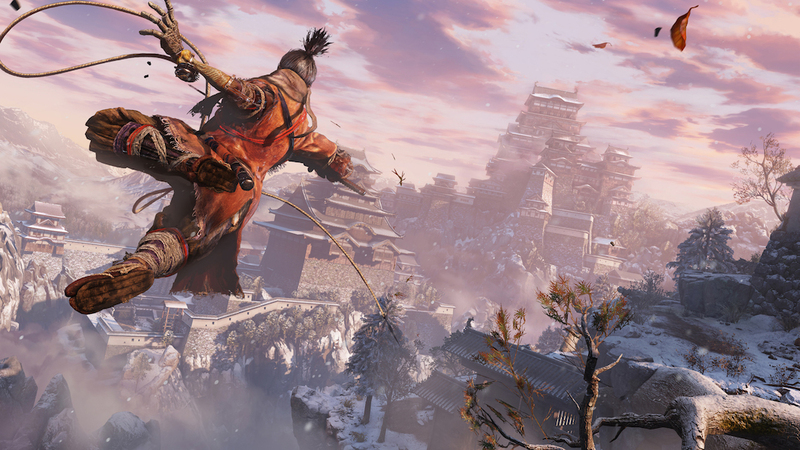 Sekiro’s grappling hook sounds like a rope when it darts out to find a point of contact. We witnessed plenty of vertical movement over rooftops and trees during our demo presentation. The grappling hook is a result of our hero losing his left arm in battle – the prosthetic was invented by an unknown genius using advanced technology. When asked about the title of the game being called ‘Sekiro Shadows Die Twice’ the developers responded by saying that the word ‘Sekiro’ loosely meant one-armed wolf and that the ‘Shadows’ part refers to fighting ninja and the ‘Die Twice’ part referred to players dying often in the game.